Monica Maggioni is a columnist and past President (2015-2018) of Rai, the Italian public broadcasting company. She has been a special correspondent and war reporter for Rai, where she has worked since in 1992. She anchored TG1, the most important Italian evening news program, the Rai1 morning show and many other programs. She has covered the Middle East extensively since 2000: the Israeli-Palestinian conflict, the wars in Afghanistan and Iraq; she was embedded with the US Army in Iraq during the second Gulf War and continued to cover Iraq for years. In 2008 Mrs. Maggioni moved to the United States as special correspondent. In 2010 and 2011 she directed and produced two documentaries that were premiered at the Venice Film Festival. 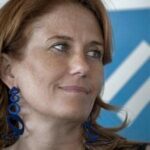 In 2013 she was appointed Editor in Chief of Rainews24, RAI’s all-news channel. She has written several books on geopolitics and media. She is Board Member of ISPI, of the USMEP and of the ECFR.